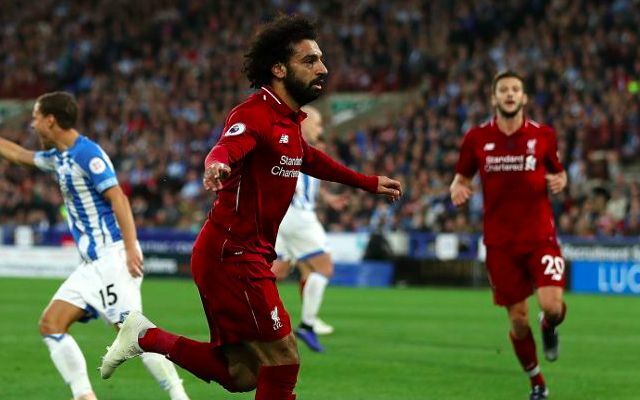 Gary Lineker insists Mohamed Salah is the real deal after the Egyptian ended his mini-goal drought in Saturday’s 1-0 win over Huddersfield. The forward found the net for the first time since September’s 3-0 win over Southampton as Liverpool moved level on 23 points with Manchester City at the top of the Premier League. It marked a much-needed lift for last season’s Golden Boot winner following a frustrating spell in front of goal prior to the international break. His first-half strike provided a significant boost in confidence as he proceeded to serve as Liverpool’s main attacking threat for the rest of the evening. Lineker took to social media shortly after to quash perceptions of Salah as a fluke following his slow start to the campaign. Salah scores. He’s a proper player not a flash in the pan. All goal-scorers, however good they are, go through spells where it doesn’t happen for them. Salah’s winner marked his 50th goal in English football and put him on four for the season as Liverpool’s joint-top scorer with Sadio Mane. It was perhaps more so Salah’s performance than the goal itself that will have injected him with fresh optimism after a string of off-pace displays across the opening weeks of the campaign. In what was a sluggish team showing, the 26-year-old was one of Liverpool’s sharpest players and teased signs of rediscovering some form. The conviction in the final-third may not be quite there yet, but he is still making the right runs and proving a nuisance for opposition defenders to deal with.